How would you like to save 50% – 90% off local places to eat, things to do and places to go AND help support our synagogue at the same time? There’s no cost to you, and it should only take a minute or two of your time. 2. Provide e-mail address to SUBSCRIBE. Easy!! 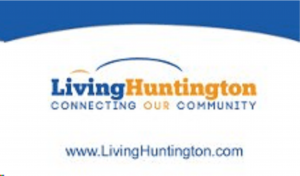 Once a day you will receive an e-mail from http://www.LivingHuntington.com with an offer from a local business: restaurants, spas, concerts, theme parks, fitness classes, and more. If the offer is not of interest to you, just delete the email. If the offer IS of interest to you, PURCHASE it! For each offer purchased, LivingHuntington.com will donate $1.00 to the South Huntington Jewish Center when selected at checkout. Thanks so much for support! Every dollar helps! Please feel free to pass along to your friends and family.